Tariffs on imported autos would be intended to protect the US economy, but they'll probably do more harm than good. Automakers will lose sales. And car buyers will probably end up paying higher prices on a smaller selection of vehicles. President Trump argues that tariffs will create more auto jobs at US plants. "After many decades of losing your jobs to other countries, you have waited long enough," he tweeted to autoworkers on Wednesday. But the tariffs under consideration probably won't apply to the cars and trucks that come from Mexico and Canada, since the US is renegotiating NAFTA. Those countries are the biggest source of imports for both autos and auto parts. Most other imports -- from Asia and Europe -- fall into one of two categories: Luxury sedans, or small economy cars made overseas to take advantage of lower labor costs. Tariffs would essentially kill demand for small car imports, since low prices are their main selling point. But that won't do anything to help US auto plants. General Motors (GM), Ford (F) and Fiat Chrysler have nearly pulled out of the market for smaller sedans in order to focus on the more popular, and more profitable SUVs. And the small cars that they intend to keep in their lineups are mostly built overseas. Cox Automotive analyst Rebecca Lindland says that automakers importing small cars from overseas will probably just stop selling them in the US altogether, rather than bring that small car production back to US plants. And its unlikely that tariffs will motivate foreign automakers to boost US production or employment either. That's partly because it takes a long time -- as much as five years -- to go from planning for a new plant to actually building cars. The uncertainty surrounding foreign trade policy will also stop them from investing billions to shift capacity. "There's only so many cars that BMW or Mercedes can produce at their plants here," said Lindland. "It's not like they can turn a spigot and produce twice as many cars." 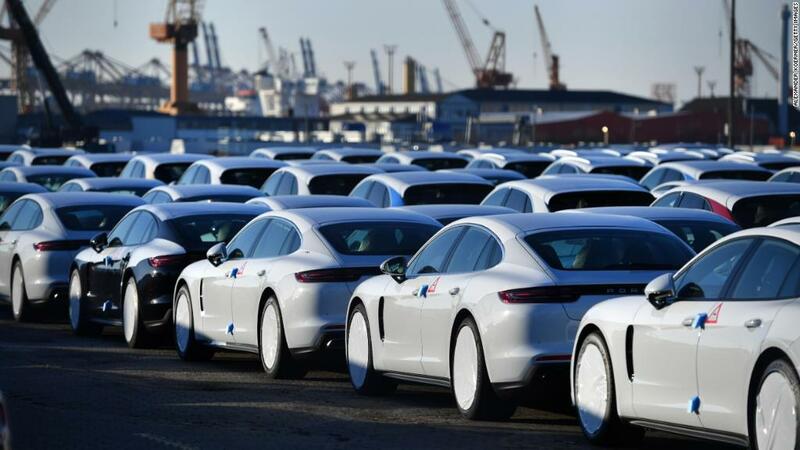 Tariffs might mean that the three major U.S. automakers, as well as Tesla (TSLA), could see less competition in the luxury market, since many of the vehicles in that category come from Europe or Japan. But it's not clear that the shift will be enough to increase demand for the luxury cars made in the United States. "For a lot of people in the luxury class, it's not about the price," said Michelle Krebs, AutoTrader senior analyst. "Toyota might also decide to eat the price of the tariff; they have deep enough pockets. Or they might spread it around between models. There's a lot of ways they can go." The major foreign automakers that would be hurt the most by tariffs are actually also major US employers. These companies operate dozens of American plants that build nearly as many cars as the US plants run by GM, Ford and Fiat Chrysler combined. And they've been clear they'll fight any attempt to impose tariffs on the cars they do import. "Toyota has ...1,500 dealers, 136,000 employees and our eleventh US plant is coming soon," said a Toyota spokesperson. She said the investigation that the Commerce Department is conducting to see whether to impose tariffs, "is intended to cover threats to national security. Given the global nature of the automobile industry, and the fact that last year nearly 12 million vehicles were manufactured in the US, such a determination seems implausible." Some Republican members of Congress are already voicing opposition to the plan. Krebs said she doubts that the tariffs will ever go into effect, despite the talk from President Trump. "There is going to be tremendous opposition," she said, "especially by car dealers, who have a tremendous amount of power."